Japan’s Prime Minister Abe visited the U.S.
one of the most prestigious universities in the world. 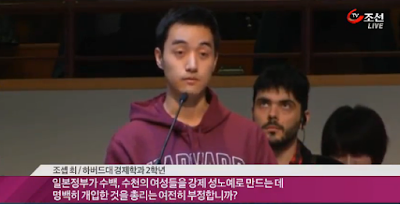 In a free discussion time, a Korean-American student threw him the following question. 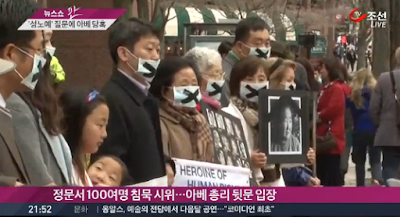 military were directly involved in the Comfort Women system. and it is so doubtful why he never says he apologizes..
their sexual desire, is more appropriate than human trafficking. Japan never apologizes for its past. It is completely different from Germany. demonstrators who demanded Japan’s regret for the past. Why does Japan have no regret???? 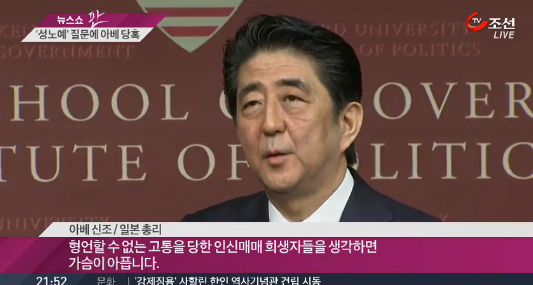 Japanese politics is very ironic.